This year's SHPE Conference is from November 14-18 at Fort Worth, TX. 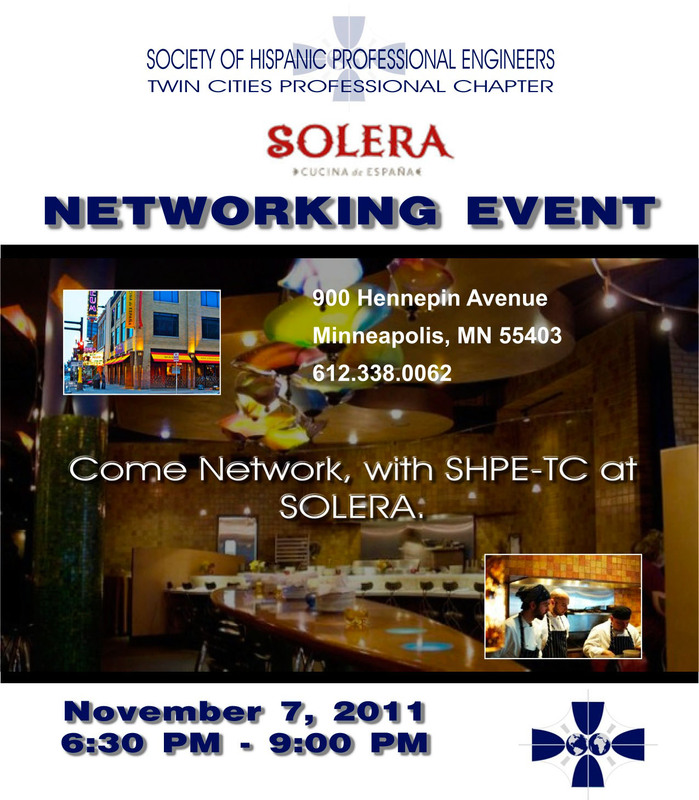 Please see http://conference.shpe.org/shpe2012/ for more details and to sign up. 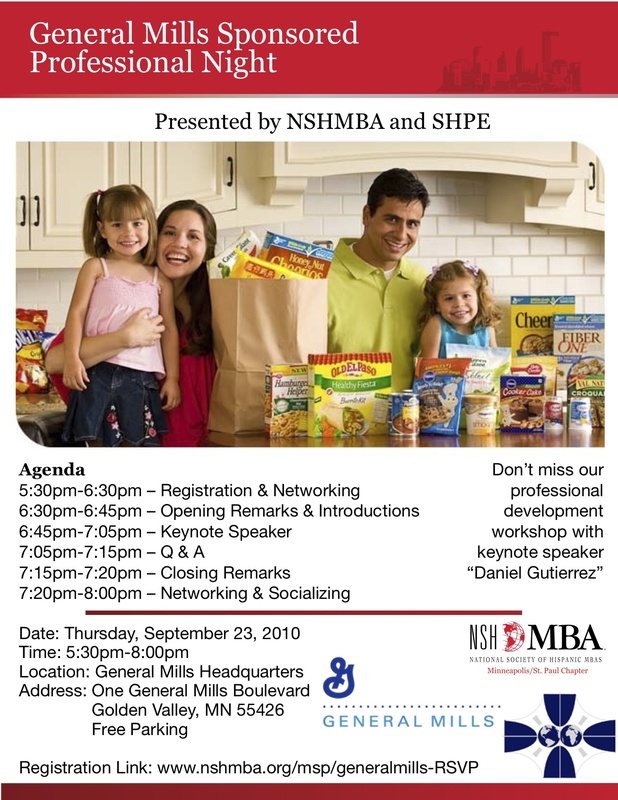 We are making it easy this year for our members to attend this great opportunity to network with other Hispanic Engineers across the nation (including Puerto Rico) and highly-respected corporations. This year, SHPE-TC will provide monetary assistance (up to $600) to 3 registered SHPE-TC members to attend the conference. In addition to monetary assistance, we are providing you with a letter of professional benefits that can be used to leverage support from your management to let you participate in this event without using vacation time for the purposes of professional development. 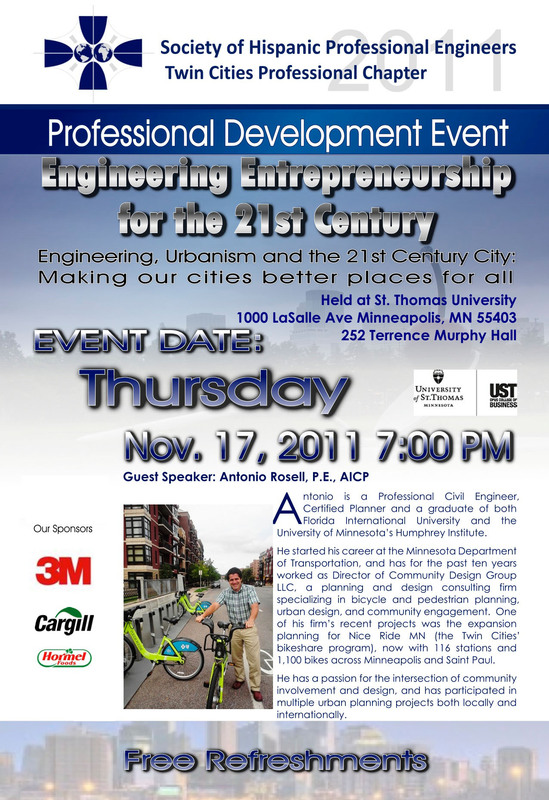 Please show your management the attached letter to gain support to attend this great event. We want as much SHPE-TC representation as possible at this year's SHPE conference, as this is one of the most fulfilling conferences for professionals to-date. 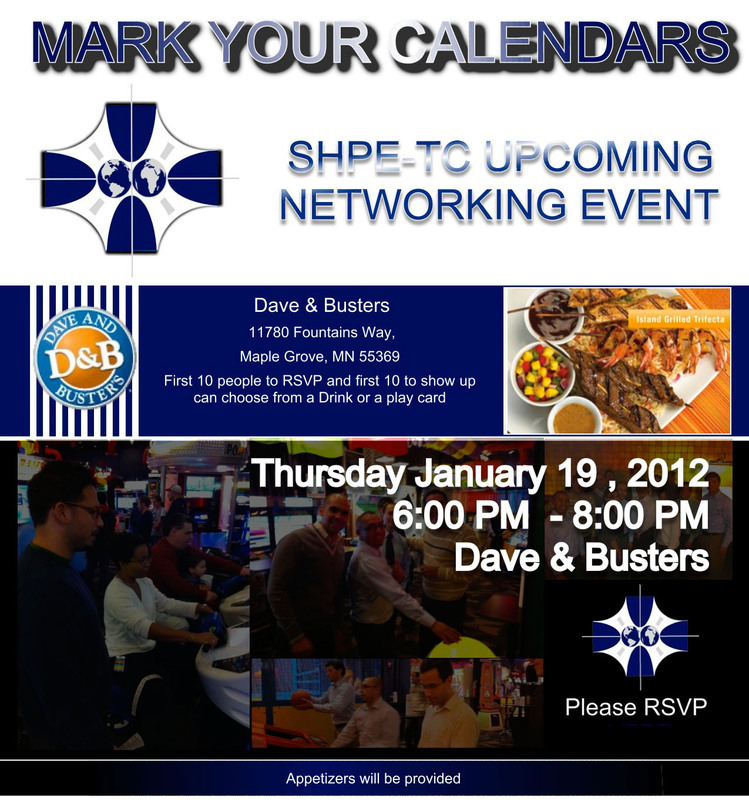 Interested in networking? Looking for a fun activity? SHPE-TC Blue Panthers is a team that is currently playing at one of the Twin Cities' soccer indoor leagues.